New Delhi 15th April, 2015 - Shams Khan, Executive Editor – Dilli Aaj Tak won the prestigious ‘Mumbai Press Club Red Ink Awards for Excellence in Indian Journalism – 2015’ under the ‘Human Rights - Television’ Category. 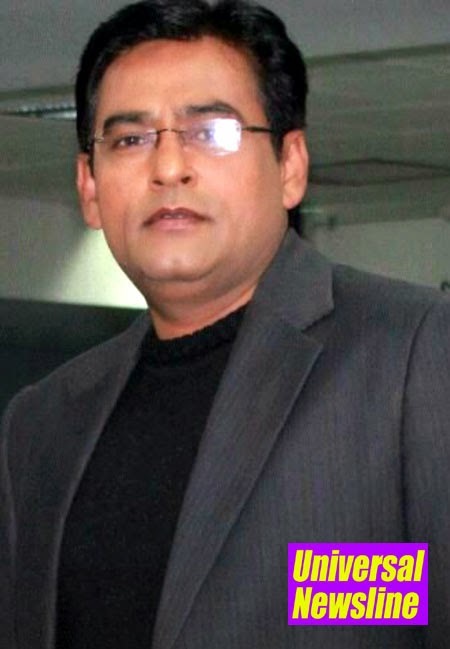 Shams Khan has won the accolade for the series ‘Koi Lauta De Mere’. The 5 episode mini-series highlights the plight of victims who faced government and police injustice for being of a different faith. Shams Khan led the Aaj Tak team that did an in-depth research on a few selected people who were victims of a prejudiced system. The exclusive series by Aaj Tak created a ripple effect with some of the protagonists being immediately released from prison after the show was telecast on the channel. Aaj Tak has taken the mantle of journalism to the next level by unravelling these stories of human suffering in the series. The channel gave voice to the unheard plight of a few leading to change for many. Among the many stories the series unravelled the life of Javed, a native of Rampur in Uttar Pradesh who had to pay the price of falling in love with a Pakistani girl. Something that led the UP STF framing various cases of spying on him and locking him behind bars for 12 years. The series also covered the incredible struggle of the boy ‘terrorist' Mohammad Aamir whose youth was destroyed because of his wrongful arrest and 14-year long incarceration. Aamir was one such boy who was framed by the Delhi police in 19 bomb blast cases. He suffered humiliation, torture at the hands of a few corrupt police personnel and was put behind bars. His only crime was that he was a Muslim. He got his freedom after 14 years and that too only after Team Vardaat from Aaj Tak showed his story. The story of Syed Wasif Haider was no different as he was wrongly accused of an alleged role in the Kanpur bomb blasts and was jailed for eight years. In another case Nasir Hussain, a 32-year-old was locked up for nearly seven years in jail after the UP Police accused him of sedition and planning terror attacks. He walked free in 2013 after a 71-year-old Hindu spiritual leader Swami Sivananda testified in court that Nasir had been abducted from his ashram in Uttarakhand days before the police recorded his arrest. The bitter truth that the poor and powerless are simply forgotten in India’s vast and disorganised justice system were shown in the series by Aaj Tak. This plight can be seen in the episode around Jagjivan Ram Yadav, who was arrested in 1968 for allegedly killing his sister-in-law but never faced trial because authorities lost the records regarding his case. His family had long ago given him up for dead. But when Aajtak showed his story in 2006, the administration woke up, leading to his release from jail after 37 years. However because of the trauma he had faced while in jail, he had gone into a state of shock and lost his power of speech. From the day he has stepped out of the jail nobody has heard him saying a single word. It is through Aaj Tak that even someone like him without a voice was heard.